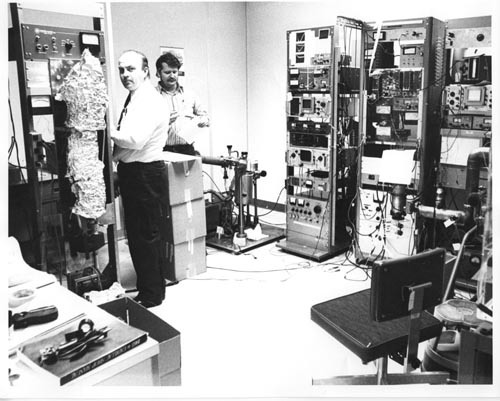 B&W image of two engineers working on the memory tube in a manufacturing test setting. The tube itslef is covered in foil and to the right are three racks of test equipment with wires going to the memory tube. Verso: " E. Dougherty - l L. Mills - R Old Bldg 1970"